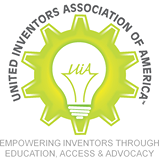 In May 2015, student attorneys Raph Younghoon Kim, Sarah Frank, Alexandra El-Bayeh supervised by clinic alum and patent attorney David Grossman and Professor Victoria Phillips submitted a comment to the United States Patent and Trademark Office (“USPTO”) on behalf of the United Inventors Association of America (“UIA”), with respect to the proposed automated pre-examination search system (“APEx”) under Proposal 2 of Pillar 1 on Enhancing Patent Quality. The USPTO is currently considering adoption of an automated prior art search system to assist patent examiners in more effectively and efficiently locating prior art. The team proposed that the USPTO initiate a pilot program granting small independent inventors online access to APEx when available. Making APEx available online will provide invaluable assistance to these small inventors in locating prior art before filing a patent application and help them draft better quality applications, which will result in higher quality patents. With online access to APEx, independent inventors will identify patentability issues using prior art listed in APEx online, and thus file higher quality applications. Independent inventors will make these determinations before filing, and protect themselves from investing in poor quality applications. Consequently, the USPTO will receive fewer, but higher quality, applications. This would in turn reduce examiners’ time and resources now wasted on conducting research and preparing Office Actions for applications anticipated by prior art. The team also proposed that if the pilot is successful, the USPTO should make the APEx system publicly available and freely accessible online to all. Publicly available online access to APEx would reduce prior art search costs, allow all potential inventors better navigate the patent prosecution process and lead to higher quality patents. Granting the public online access to APEx would also serve as a model for promoting the administration’s ongoing openness and transparency initiatives. The comment is published on the USPTO website: (http://www.uspto.gov/patent/laws-and-regulations/comments-public/comments-request-comments-enhancing-patent-quality). This entry was posted in Clinic News and tagged administrative filings, American University Washington College of Law, APEx, Enhancing Patent Quality, ip clinic, open access, patent, patent quality, PTO, UIA, United Inventors Association of America. Bookmark the permalink.